Kingdomway has recently announced its plan of acquiring the US company Zipfizz. The move is in accordance with the booming popularity of functional and healthy drinks in China. Xiamen Kingdomway announced in the middle of May that its US-based subsidiary KUC is planning to purchase 100% shares in the US-based company, ZIPFIZZ. This enterprise is a producer of sports powder and drinks. The acquisition will be made at a price of USD80 million. In the announcement, Kingdomway mentioned that in the selection of functional beverages, people now favour healthy options, which are of a new generation, natural, containing vitamins and mineral substances. Zipfizz produces exactly this kind of sports drinks. According to market intelligence firm CCM, this significant transaction will facilitate the realisation of Kingdomway’s development in China’s big health sector. In 2014, Kingdomway started the shift in businesses from animal nutrition and food nutrition enhancers to health-care products and functional food, and its steps in the field of Big Health have been accelerated. As of May 2018, it has spent over USD235.59 million on the acquisition of overseas health and functional food enterprises. In their choice of drinks, people now value health more highly rather than just considering the flavour, and functional drinks are becoming increasingly popular in China. Actually, the functional drinks market has a large market potential. According to surveys, an annual growth rate of about 10% is estimated to occur in this market in China, which is expected to reach a value of USD9.70 billion by 2021. Therefore, more enterprises have been attracted by this potential and started the development of functional drinks. Since the beginning of 2018, several new products have been introduced on the market. Guangdong Yetai Biotechnology launched its Quickrover Power intensified vitamin drinks, which contain taurine, inositol, and vitamin B6. Later, China’s dairy giant Inner Mongolia Yili announced its plan of entering the functional drinks market and introducing a new product, Huanxingyuan, onto the market. After the competition of Kingdomway’s acquisition of Zipfizz, the foreign brand may also be introduced in China. The busier lifestyle of China’s growing urban middle class is driving the market for functional beverages because a rising number of workers don’t have the time anymore for a healthy and balanced meal every day. The lacking energy and nutrients are guaranteed nowadays by consuming functional beverages including taurine and vitamins. Hence, an increasing number of enterprises discover China as a promising market for functional beverages, launching new products into the large market. According to market intelligence firm CCM, China is ranked second behind the USA in the number of energy beverage sales in the global market. Recent growth number of up to 25% have caused high attention by international enterprises to penetrate into this promising market. It is expected that the domestic retail sales volume of functional beverages will hit 15.04 billion litres by 2020, with a corresponding sales value of USD23.78 billion. Many manufacturers are launching new products into the market to gain some market share. One example is the Mi-PRD of the Mizone brand by Danone. Even this product is not being able to buy in retail yet, the company has already announced new beverages with exotic flavours like pineapple, litchi, orange, mango, peach, and cucumber. Nevertheless, also China’s domestic manufacturers are launching new products in China’s functional beverage market. Hangzhou Wahaha has introduced the new functional drink Burnlaxy. Special ingredients, besides taurine and vitamins, are ginseng, maca, and fresh ginger. The company has lost its market share of 4.9% in 2012 to 0.9% in 2015. It needs to be awaited if the company can get market share again with launching new functional drinks. Other successful products by this company are Wahaha Get C and Hai Jing Lemon. Energy beverages are becoming popular among people who want specific health benefits from their food and drink. To date, China has become the largest energy drink market, and now has the highest growth rate in the world. In 2015, sales stood at over 1.30 billion litres, up 25.00% YoY, and sales increased by 15.16% YoY to USD9.04 billion, according to CCM’s research. However, consumption of functional beverages in China still remains low. The annual consumption averages less than 2 litres per capita, not even a tenth of the figure in developed countries. This huge market has attracted a number of domestic and overseas producers. Yet it may be hard for the foreign ventures to break into the Chinese market. It is no secret, that healthy products are the big driver for sales in the future in China, as Chinese awareness is surging. Companies, that are doing business in China’s beverage market, are doing good in considering this trend and being orientated to adjust their products and labelling according to the new needs. According to Mintel, the worldwide consumption of energy drinks has reached 8.8 billion litres in 2015. The countries with the largest consumption are hereby the USA with 3.3 billion litres, China with 1.4 billion litres, Great Britain with 561 million litres, and Germany with 328 million litres. The most famous energy drink is arguably Red Bull, sold in the typical red and silver can with the red bull icon. This energy drink made its way to China at the end of 2013, but still, is facing several problems like a trademark issue. The demand for taurine is growing worldwide. China has established itself as one of the major players in the amino acid market, and therefore also for nutrient additions like taurine. Many manufacturers are outsourcing their taurine production to China and search cheap suppliers in this country. The key manufacturers in China’s taurine business are Taisho Pharmaceutical, Honjo Chemical, and Yongnan Pharmaceutical. Especially the latter company has finished the fiscal year 2016 with a remarkable boost in net profit, thanks to the booming taurine market. 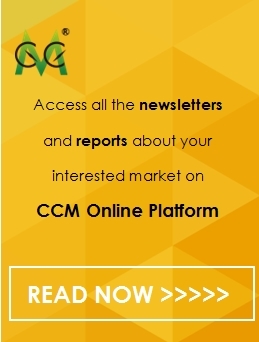 Get regular insides into China’s amino acid and healthcare market by subscribing to CCM’s monthly published Amino Acid China News.